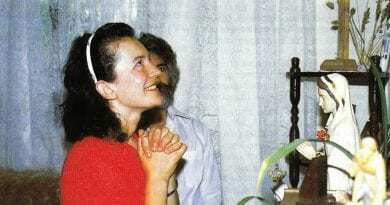 MESSAGES OF THE MADONNA OF MEDJUGORJE COMMENTED by SLAVKO BARBARIC. “Dear children! Today I invite you to accept and live my messages with seriousness. These days are the days when you must decide for God, for peace and for goodness, that all hate and jealousy come out of your life and your thoughts and that only love for God and for the neighbor is established there. Thus, only in this way will you be able to discern the signs of this time. I am with you and I guide you to a new time, time that God gives you as a grace to know it even more. Thank you for answering my call “. In the Christmas message, with which we started the New Year, we have been called to collaborate in the new world of peace. We hope that many have taken seriously this Christmas message and that, tireless, they are cooperating in the construction of the new world of peace in their hearts, in families, in communities and therefore in the whole world. Through prayer and fasting, we try once again to listen to the words of Mary, the Queen of Peace. We know his messages, which are maternal and simple, but as radical as the Gospel. They speak of prayer, fasting, conversion, reconciliation, faith and trust.Furthermore, they speak of the purification of souls and hearts through Confession and the knowledge of the Holy Scriptures. But the seriousness must not be lacking when it comes to accepting and practicing messages. Today is the feast of the conversion of St. Paul. From his encounter with Jesus, in the light, he was allowed to become a great Apostle, and he did so with great seriousness, commitment and love, with untiring zeal in spite of his weaknesses and the power of God’s love. He did not grow up to have seen Jesus, but for having cooperated with untiring grace and love. We have many good examples like this that help us make our decisions. Let us not forget that conversion is a condition of survival. We must not be afraid of it, but it is always good that we are aware of it. “This world is a world without God! 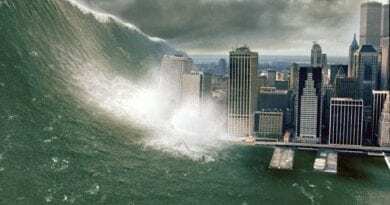 Many of the false gods, to which numerous people, including Christians, gave their lives and were inspired, exposed the whole of humanity to grave danger. Recently, it has become clear to us how far the world of international politics is far from pure and just interests. Wars, violence, aggression, loss of human values; these are all signs of the distance of people from the true God, a distance for which they are paying a high price.Those who decide for Diosis also decide for peace and good. There are concrete ways to start doing it. Go back to God, begin to pray, change, reconcile, forgive others, ask for forgiveness and engage in goodness. Our heart will tell us what “good” means, what is meant by “good” and what can be done for it. May many make this decision, so that the world can return to hope! Christian life is an invitation to love. One can not think of a Christian life in which there is no love for God and for one’s neighbor. Hatred and such feelings are a radical denial of Christian reality. According to the spirit of the Gospels, the whole process of inner growth consists in the struggle against the destructive forces, inherent in the human heart and in the world. Here’s what you must do: do not give space to hatred and other destructive intentions, but tear them away from the roots and make more room for love and “goodness”. Mary, who was an illusion in which love and “goodness” lived from the beginning of her earthly existence, made us know these sinister and destructive forces in her messages. The front is erected right in our hearts and the battle engages individuals, families, communities and then the Church and all peoples. Jesus sent his Apostoios so that every people of the world would know of his Victory. They were armed with divine power, as was the Church throughout the history of mankind. Mary, as Mother of the Church and Queen of Peace, comes to warn us against the current situation in which we find ourselves and encourages us to continue to struggle without getting tired. 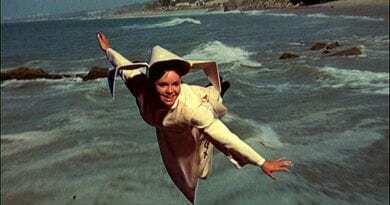 Many of her children have fallen asleep, many have been ensnared by false gods and imprisoned in their own prisons: the lack of God, hatred, jealousy, divorce, materialism, hostility, drug addiction, lack of hope, self-destruction processes. 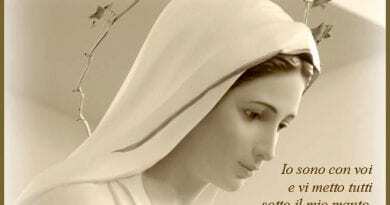 Mary wants to awaken her sons and daughters, to save them and prepare them for the battle against the maIigno. 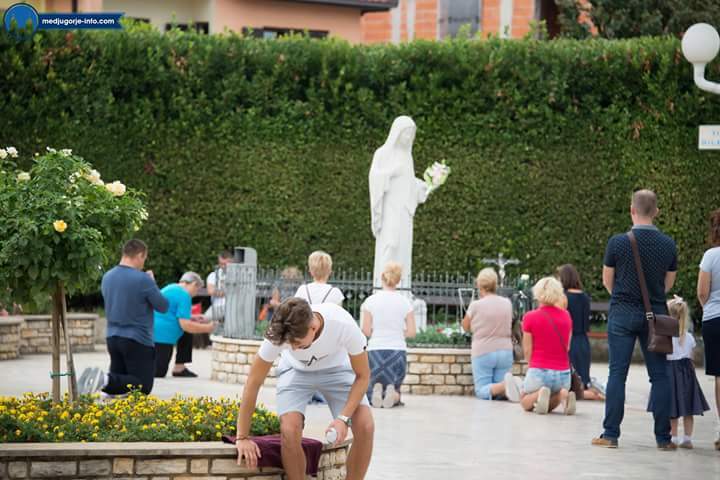 With many of her children she has succeeded with the apparitions in Medjugorje, but many others still have to join her army. The Church is an army of love that must regain ever more space in this world. In other words, it is a continuous process of purification. Jesus complained of the generation he spoke to. He said that they were blind and unable to recognize the signs of the times and to act accordingly. In this message, the same reproach is addressed to us, but Mary gives us hope, telling us that we can do it. The only condition is love for God and neighbor. So our interests will have to change accordingly, and then our eyes will open. In the November message, Mary called us to love God, the Creator, first of all, to recognize him in others and to love them as He loves us. Love opens our eyes to others, to their needs, to their pain, to their gifts, to their possibilities, to their dangers, and it is these that make us act. How can a Christian today sit passively if he says he loves the Church, humanity, life, family, youth and nature? 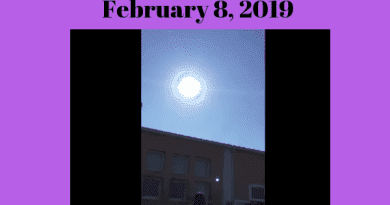 How can a Christian afford to waste time and get involved in conflicts or similar things, wasting positive energies in this way instead of exploiting them for peace and good? Mary is the mother of life, the new Eve, the Queen of Peace and therefore we can understand the meaning of the new time she is leading us: PEACE BETWEEN MAN AND GOD, PEACE BETWEEN ALL MEN AND PEACE BETWEEN ‘MAN AND NATURE. Anyone who does not see this opportunity is sleeping a dangerous sleep, from which he must abruptly be awakened. 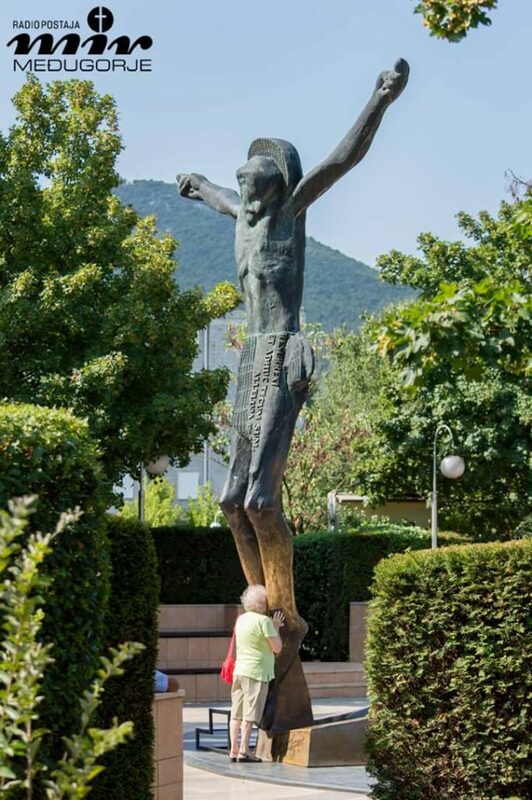 Have not the apparitions of Medjugorje called us to peace? Are they not a sign of the times to be recognized and discerned and we must not therefore act accordingly? Mary is with us, she warns us, helps us, calls us, shows us the way, prays with us and always stays with us on this path. This is his time and this, as the Pope said, is a Marian time. This time is also a time of grace and a gift from God. The highest purpose of our lives, yours and mine, is to learn to know God better and to love him more through what he has given us. Thanks to this love, we learn to love and protect more ourselves, others and all creation. This is a great task for every Christian! There is no time to waste because every day is a unique gift. If only one day is not lived as it should by a Christian, then it is lost. Lost time is a lost grace! So the best possible decision is to live this time that is granted to us by God with courage and firmness together with Mary. May every pilgrim, every prayer group, every family and the whole Church be blessed and guided on this path. Accompanied by Ivan and Milona, ​​I am now traveling to Australia. It has been called the “Australian Tour of Peace” and, God willing, it will last until February 23rd. On the first day, the official Church opened the gates to us in the Cathedral of the Sacred Heart of Bendigo. We prayed and celebrated Mass for 3 hours in front of many thousands of people. The concelebrants were a monsignor and over twenty priests. Lord, our Father, we thank you for this new time and for the new year. Give us the grace to decide for ourselves, as Mary is calling us to do and to decide for all that is good. Deliver us, O Lord, from all that hinders us on the path of holiness. May love for you and for our brothers always be in our hearts. Give us the inner wisdom to recognize the signs that I gave and give us the grace to live accordingly, so that we may continue to accompany Mary, who wishes to lead us all to You. Give to each heart the strength of reconciliation, so that no weight of the past can hinder our journey towards you. Allow Mary to guide us in this new time and give us the grace to listen to what she tells us. Give the whole Church the grace to be guided by Mary in these times of instability. We ask You together with Mary and in the name of Thy Flgli9 Jesus Christ our Lord. Amen. 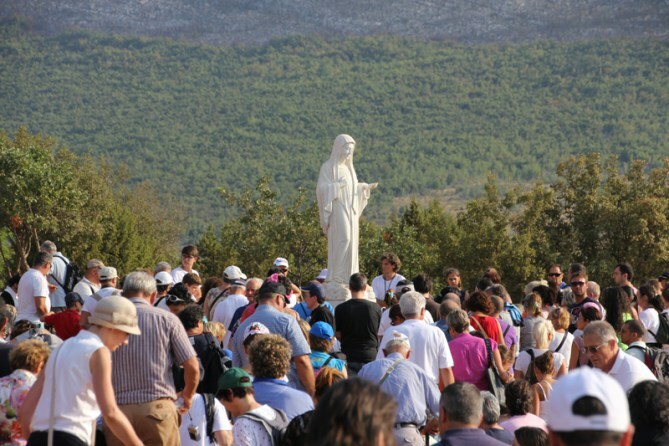 A SIGN FROM OUR LADY: When the Cross on Križevac Mountain disappeared, and Our Lady appeared. 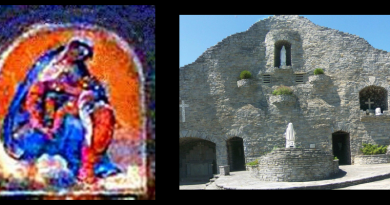 October 21, 2017 ryanmysticpost Comments Off on A SIGN FROM OUR LADY: When the Cross on Križevac Mountain disappeared, and Our Lady appeared. “Proof of Heaven” Did Famous Harvard Brain Surgeon, Dr. Eben Alexander, Meet The Virgin Mary During His Extraordinary “Near-Death-Experience”? June 21, 2017 ryanmysticpost Comments Off on “Proof of Heaven” Did Famous Harvard Brain Surgeon, Dr. Eben Alexander, Meet The Virgin Mary During His Extraordinary “Near-Death-Experience”? Parishioner of Our Lady of Perpetual Help in Glenview, Illinois says image of Virgin Mary appeared next to the Monstrance.